Everybody wants someone to love and spend time with, and searching for your ideal partner is a natural and healthy human tendency. Just about everyone dates at some point in their lives, yet few really understand what they're doing or how to get the best results. 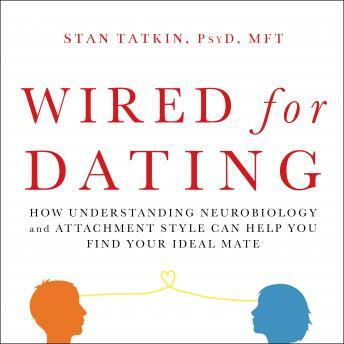 In Wired for Dating, psychologist and relationship expert Stan Tatkin-author of Wired for Love-offers powerful tips based in neuroscience and attachment theory to help you find a compatible mate and go on to create a fabulous relationship. Using real-life scenarios, you'll learn key concepts about how people become attracted to potential partners, move toward or away from commitment, and the important role the brain and nervous system play in this process. Each chapter explores the scientific concepts of attachment theory, arousal regulation, and neuroscience. And with a little practice, you'll learn to apply these exercises and practical techniques to your dating life. If you're ready to get serious (or not!) about dating, meet your match, and have more fun, this book will be your guide.